I'm Your Fairy Godmother: How To Get Free Flights For Your Disney Trip!! 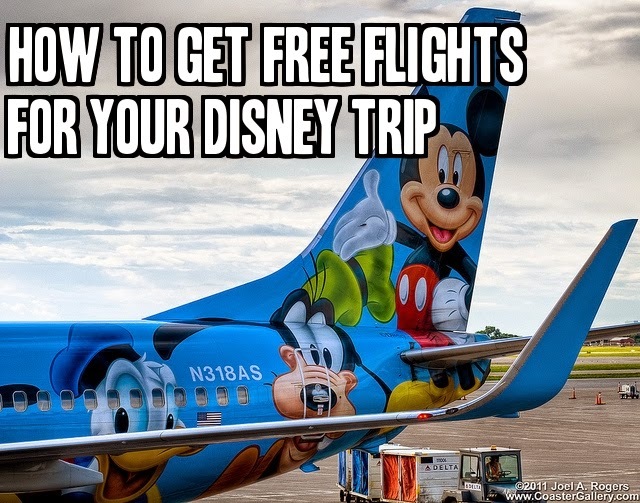 How To Get Free Flights For Your Disney Trip!! Getting free flights for your Disney trip?! What??!! Sounds too good to be true, right? Yes, you read that right....I am going to tell you today how to get free flights for your Disney trip. I am all about saving money when it comes to Disney. When I found this credit card and realized that my daily spending could help me get free flights I was all over it! It's the Chase Sapphire Rewards Card. There is no annual fee for the 1st year. All you have to to is sign up through me to earn 40,000 bonus points when you spend $4000 in the first three months. I know that sounds like a lot but we seriously started charging everything and made the $4000 in three months. The 40,000 bonus points transfers over to equal 2 free airline tickets on Southwest. Crazy huh?! So a reminder...you MUST sign up through me. Send me an email at strawberrysh@hotmail.com and I will send you the official invitation.....you will be earning your free tickets before you know it!